We’d love your help. Let us know what’s wrong with this preview of Cursed by the Gods by Raye Wagner. Even though mortals think the gods have disappeared . . . Olympus still rules. Demigods have elite hunters who viciously kill monsters. And shadow-demons from the Underworld, the very harbingers of death, are tracking her. When tragedy destroys the only safety she’s ever known, all signs point to Hades’s demons. Or do they? Something doesn’t add up, and Hope needs answers. But now, someone knows she exists . . . Forced to hide, Hope pretends to be normal. She’ll do whatever it takes to keep her secret safe— and her heart protected. But when Athan arrives, her world is turned upside down. To ask other readers questions about Cursed by the Gods, please sign up. is it a serie or a stand alone title? Raye Wagner Right now it's exclusively on Amazon. I hope you enjoy it! I really enjoyed this! It was fun, romance-y, and some super interesting mythology! Video review will be up soon, and I cannot wait for the live show! I really enjoyed this! It was an easy read, but it had a lot of depth to it. Hope goes through so much throughout this book and it was interesting following her different life experiences. I can't wait for book two! I am so in love with books based around Greek Mythology.. but the fact that this book WAS based in a modern world where GREEK GODS still rule was just so fantastic and unique! I loved Hope and found it so interesting that the author wrote a book from the perspective of a greek monster.. I need the second book! This book was a struggle for me to read starting from chapter 2. I was really disappointed because it has a very promising start. 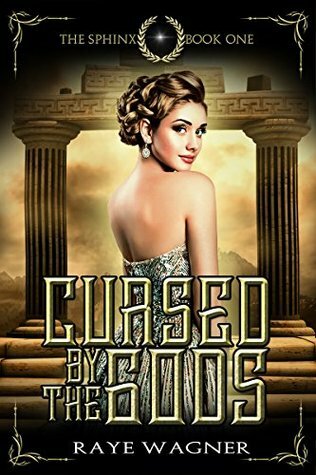 This novel revolves around Greek mythology, gods and their minions who are after the Sphinx because they are known to be a monster; a cursed creature but also a human. The concept is compelling enough to let you dive into this world however the execution failed to impress me instead it left me bored with a headache. I wanted it to have a back story where the world or setting is explained; I assumed that it was set in the modern world where people were not aware that gods, demigods and other mythological creatures exist for real and that the students were just having their lessons in mythology. It turns out that People are indeed aware that these mythological gods exist and I only known that when I was about 48% done with my reading. I was so confused and frustrated about that detail because it's essential in the world building. I also wanted to know why the Sphinx is cursed and why the gods wanted them dead even though there was a prequel novella but it helps to let readers refresh their history. The build-up was really slow and just when it has something going on it abruptly stops. It was really killing me and I feel that Hope, our main character has a Bella Swan vibe in her. I wanted to love her but I hated her even more. Sorry ya’ll! Another thing is the romance. I love some romance in my books but here it’s just feels so forced, it all feels so cliché and there is no chemistry between Athan and Hope. I was really hoping the romance might stir my frustrations away but it only adds up. This book has a lot of clutter and the ending didn’t even leave an impression. I hope it gets better for the sequel though. This book was a surprise. I had thought I had outgrown this kind of book, and wasn’t interested in picking up any such book, but the premise for this caught my interest. Greek mythology….Sphinxes…..An ancient curse… I’m intrigued. Here we see 17 year old Hope who has been on the run and in hiding her entire life, even though she does not know from whom is she running and hiding from. What she does know is that she is different. That she and her mom are descended from a long line of Sphinxes, and This book was a surprise. I had thought I had outgrown this kind of book, and wasn’t interested in picking up any such book, but the premise for this caught my interest. Here we see 17 year old Hope who has been on the run and in hiding her entire life, even though she does not know from whom is she running and hiding from. What she does know is that she is different. That she and her mom are descended from a long line of Sphinxes, and can transform into these creatures which are seen as monsters by many. The sudden death of her mother sets off events and circumstances which lead to Hope trying to figure out more about her heritage or history of her kind and about a thousand year old curse that affects her family. The mix of mythology in a modern setting. A world where mythology is not just myths and legends but truly alive in a modern world. Although I do wish this was explained better, a bit earlier in the books , as I was still confused as how everything fit together. The romance. Quite enjoyable due to the fact that it isn’t insta-love and that the girl doesn’t spend large amounts of time over-obsessing about some new guy just after losing her mother. Likable characters. I really liked Hope. Her character was dealing with a lot of things, grief, loneliness and anxiety and I liked how it was portrayed in the character. Reading from her perspective was interesting, with her being a sphinx and viewed as a monster by many. Although I will say I am not sold on this ship happening in this first book. Which is why I like series, there’s always hope that someone better will come in the sequel books who will sweep you off your feet. It was overall a quite enjoyable read, although I wish we had some questions answered by the end of the first book (What exactly is the curse about? ?-What is Apollo's deal??) but hey, that's what sequels are for. Despite this, I’m definitely putting the sequel on my tbr list this year. It was okay. I didn't really care for the characters. The story went by fast but I just don't think this story was for me. ♥ It was a readalong. Readalongs are a source of shared passion and excitement over a book, and it also gives the reader motivation to express their feelings about the story and finish it quicker, or keep going in case of a reading slump. ♥ It's Greek mythology. The stories I listened to instead of fairytales as a child grow up in front of my eyes, take shape and turn into beautiful, complicated, mersmerizing tales. ♥ The main character is cursed. This is a very interesting concept about me because cursed characters are deeper and it's more interesting to have an insight on their minds. Hope specifically was a very great character to get to know. ♥ It has a lot of contemporary elements like the way the main character tries to balance their supernatural life with their normal school life and maybe it's me but I love seeing things like that. That being said, the experience was made even better because of a few wonderful elements this fresh, action packed young adult story about a girl who wanted her freedom but knew that her safety lied far, far away from it and a boy who had a mission but put his feelings over it, had. The way mythology was handled completely blew my mind. This gave a very different insight than Rick Riordan's books, mostly because f the fact that in here demigods were the bad guys . Monsters, on the other hand, were just creatures who wanted a life away from being hunted, away from pain and fear, away from hard stares and terrified glances, away from disgust and abandonment. Hope herself, a girl who turned into a Sphinx, a woman whose body is lion's waist down and whose back has strong, massive wings, once a month, was a very nice character. She ws brave but also human, and she wanted to live a normal life and be free to show her true self without people to judge her. I certainly loved her and some other characters like Mr Stanley, Hope's amazing friend and fatherly figure, or Haley, his crazy and caring daughter. I didn't like Athan, both as a character and as a person, and found that a lot of his actions were annoying me very very much. I didn't ship him and Hope, although I was glad she had found someone to care for her, even after her secret was revealed. Overall though he was a character that gave me a bad impression and it one of the reasons this book lost a star. A thing I also loved about the book was the Goldendale twist. The small little town that has more secrets than it lets out was totally one of the elements that made this book even more addictive, and I found myself at the edge of my seat as Hope was faced with lots of challenges and dififculties regarding the citizens. Every twist this book had was honestly incredible. The Skia gave it an air of mystery and a creepy element that I really loved, and so did Athan's aunt. I loved how Raye Wagner handled mythology in general, to be honest. A twist I didn't really like though (the other reason this book lost a star) was the Priska twist. (view spoiler)[Not the one of her disappearance, no thta one was incredible. The one of her reappearing. The writing was incredible, thankfully, and it flowed with my blood, making me feel the story like a second skin. Familiar, exciting and utterly addictive. It was a great story to read and the fact that it was a big, happy readalong made it an even more beautiful experience. I'd like to see more good monsters (people who can shift, specifically, like Hope) in the next book and hopefully some more good demigods. Another thing that would certainly pleasantly surprise me would be a good Skia! I hope Raye will take these into consideration if she already hasn't. A book about SPHINXES and set in the modern world where Greek mythology is alive and well. I picked this up expecting something brilliantly original. Curse Of The Sphinx had so much potential, potential that became all. But. Wasted. How ever the author wanted the book to play out clearly became lost in translation. The story was and lagging up until the end and honestly the paranormal aspect of the book was irrelevent and barely touched upon. The book has the story arch of a cliche con 1.5 stars. How ever the author wanted the book to play out clearly became lost in translation. The story was and lagging up until the end and honestly the paranormal aspect of the book was irrelevent and barely touched upon. The book has the story arch of a cliche contemporary romance-- outcast girl who fails to fit in at school meets a hansome, dazzling popular boy who brings her to life, embeliished with a barely there Greek mythological touch. For a book that was practically a romance novel, Hope and Athan are one of the worst couples I've ever encountered. The chemistry was non-existent and every interaction between them was tastlessly cliche. Not only that, but they both have the personality of a rock I could pick up from my backyard. Riveting, really. Myths, magic and mayhem all hiding right in plain sight. Hope and her mother have spent their lives hiding in plain sight. Someone wants her dead, thinks she is an abomination, a monster, and according to mythology, she is, but she feels like any seventeen-year-old girl, only lonelier, more mature. From high school to home, curses of the gods and even young romance, Hope is caught between a world that despises her and one that barely knows she exists, is it time for Hope to disappear once again?. In a world who knows of myth and magic, a friend or confidant would be nice, but who can she trust?? Would everyone think she is crazy? Will she never find her place in the world? Now hunted by a demigod, sent on a mission to destroy her, Hope finds there is more to this boy than his mission would suggest, but can she trust him? Only time will tell and time is running out for Hope. Curse of the Sphinx is ya fantasy with a dollop of mythology, some romantic fare and a young girl trying to make it on her own in a world that stands against her. From the typical high school cliques and the condescending “it” girls to the fresh take on fantasy creatures, Raye Wagner has a wonderful foundation built for her new series. Fast-paced, twisted into knots at some points, Ms. Wagner gives us just enough information to mentally take us down several possible avenues, not sure which will be the correct one until the next book in the series. Wonderful writing, geared toward young adults, without too much overpowering angst. I was hooked by the possibilities that could be explored! I received this copy from Raye Wagner in exchange for my honest review. OMG! THIS BOOK WAS EVERYTHING! Ok first of all, I received an ebook copy for review. Now let me explain to all of you, I wanted this book for a few months now, but I couldn't find it anywhere! So I contacted the author and she was super kind and had Ms Sara (her assistant who was super awesome too) to send me free copies of this one and its sequel (Demigods and Monsters) which was released a few days ago, so that I could finally read them and of course I was really willing to review them too! So let's get into the review. I absolutely adore mythology, I'm Cypriot so that's why I'm super close to it and I know it well. I'm really interested in mythology books 'cause you know, Greece and Cyprus are like one thing and we are the origins of Greek mythology! Anw, the author told me that she didn't exactly follow mythology and she added a few things to the "original" stories, and it was totally fine! Honestly, if I didn't know a lot about myhtology I wouldn't spot the differences of what was real and what was from the author. Anw, the plot was super interesting and intriguing! The book was obviously amazing, I stayed up till 4am just to finish it It was engaging, it was filled with action, it was fast paced idek what else to say! Just READ IT NOWWWW! This is a fun ya Greek mythology story, which is my weakness. It's got a strong heroine and it's a lot of fun. I went in to this book expecting a caliber to compete with Percy Jackson but alas no one can even come close to the king. But aside from being disappointed by that, I'm fairly satisfied with the plot line as well as the characters. However, I would like to point out that some details were rather vague and it made it difficult to go along with the story. But a little determination never hurt. And because of my love for Greek legends, I'm going to go on to the next book. This was such a fast read oh my god! I have to be honest, I didn't read the whole back of the book before starting to read so I was very confused because in this book, it is a well known fact that the gods exist and everyone knows about demigods and such. But once I stopped being confused because I'm dumb I was flying. This is a very Percy Jackson reminiscent book but don't let that scare you Ito thinking its a rip of This was such a fast read oh my god! But once I stopped being confused because I'm dumb I was flying. This is a very Percy Jackson reminiscent book but don't let that scare you Ito thinking its a rip off. It is very much it's own story and its own plot - I just couldn't help but feel a little nostalgic while reading it. The writing feels middle grade. I still feel iffy about the romance. At the same time, I think I need to brush on my knowledge on greek myth because I'm still not sure what this curse has to do with our MC. It makes sense with her mom, but for her... Eh. I'm not sure. I don't know what Apollo has to do with any of these? By the way, if you subscribe to Raye Wagner's newsletter by the end of April, you get this ebook for free. Me encanta la mitología y el "epilogo" me ha dejado con ganas de leer el segundo, cosa que no tenia pensado hacer, pero tiene un ritmo muy lento y realmente no pasa nada interesante en todo el libro y el romance no me lo termino de creer. Add this to your list if you are looking for a fun, young adult adventure. Great book to pass a couple hours. Full of secrets and discovery. Hope and her mom are always on the run. Moving from place to place they may stay in one place for a couple of months or so and then they are packing up and off again down the road to a new place. Her mom is always picking small towns for them to hide out in. Hope knows a little bit behind the reason they are always moving. But her mom has never told her much. She knows that they are running from some very bad people, demons I received a free copy of the book from the author for my honest opinion. Hope and her mom are always on the run. Moving from place to place they may stay in one place for a couple of months or so and then they are packing up and off again down the road to a new place. Her mom is always picking small towns for them to hide out in. Hope knows a little bit behind the reason they are always moving. But her mom has never told her much. She knows that they are running from some very bad people, demons that what them dead and will stop at the nothing to see that they are dead. Hope and her family was cursed many, many, many years ago by a God. Her mom has always tried to do her best by Hope and that is why she has never explained very much to her about them always running from one place to another. She is only trying to keep her as safe as possible. She is doing the only things she knows to do and the best. She figures the less Hope knows the better she will be and or may be happier? When she finds out that her mom is dead and she starts learning more about all the secrets her mom kept from her. When she is found by a demon she has to move once again. Hope is on her own now and no one to turn to. She doesn’t know or has no one she can trust. What in the world is ever going to do? How is she going to stay alive? What or who killed her mom? Hope is determined to find out everything she can about the secrets her mom kept from her and who killed her mom and make them pay. Well that is if she can stay alive long enough. Hope moves to a new town and a new school to start a new life. Being the new kid in town doesn’t give her much favor with the other kids but Hope is not real bothered by this she has always been a loner. Besides she doesn’t know if and who she can trust so it is better that she doesn’t have friends. But she meets this one guy whom she can’t seem to get rid of but deep down inside she is not sure she really wants to either. Every human needs at least one person in their life that they can talk to or just some to be with. As humans we need that emotional contact in some form or fashion. So with her realizing it she lets this new guy gradually make his way into her life. It all kind of slips up on her before she knows it. 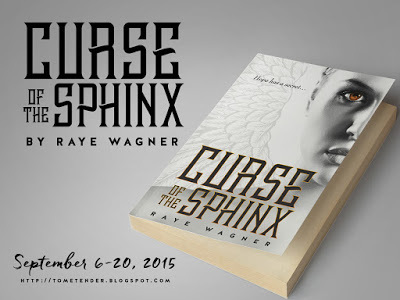 Curse of the Sphinx is the first book in the young adult, Sphinx series by Raye Wagner. What I liked the most about Curse of the Sphinx is that this is not a mythology lite book. This is full fledged mythology in all its' glory. You get dropped right into the action, so you would best be served if you have some kind of background knowledge on the players and workings of the worlds in Greek Mythology. One of my minors in college was greek mythology, and another minor was world mythology, so I knew a lot about the set up of the worlds, and a lot of the gods. 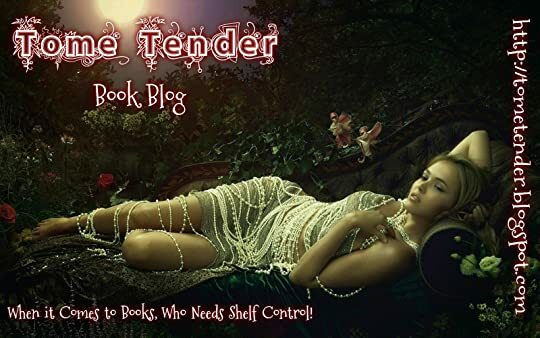 Raye Wagner not only includes the big hitters, like Hera Hades, Hermes, Thanos, etc, but she also includes some of the lesser known gods, like the god of sweet talk and flattery- Hedylogus. I loved that. The mythology nerd in me was totally geeking out the whole time I was reading Curse of the Sphinx. Curse of the Sphinx is about Hope, who as the name suggests is Sphinx, and you guessed it- is under a curse. I really liked Hope, but her mother had her so sheltered that she seemed a bit naive to me. I know that sounds strange, since she is what most people would consider to be a creature of myth that does not exist, but still she seemed too naive. Much of the first part of the story is told in a timeline that was based on the amount of days it had been since Hope's last move. I found this to be a cool concept, but a bit confusing. I didn't always know which move they were talking about. Was she at the same school? Was this still the same move? Or a different one? I would have really liked to have seen locations, along with the number of days. But the story still flowed really well, and moved at a brisk pace. Athan is another main character in the Sphinx series, and the story starts out in a scene with him and his father in the underworld. I was very intrigued by Athan. I hope we get to see some more build between him and Hope in the next book. I think they have a lot of potential. Curse of The Sphinx is a book where you get bits and pieces of the answers as you go along. This first book did a good job setting the stage, and building the world. I love that the Greek gods are still running the show in modern times. It was a unique concept for sure, and there is a lot of promise for the second book. I think there are great things to come in the Sphinx series. Curse of The Sphinx brings something new and something old to the table. It brings the well used mythology, but spices it up with putting the story in the perspective of one of the alleged monsters, a sphinx. Said Sphinx is named Hope Nicholason and she is on the run from the demigods who would just senselessly murder her without a second thought, the gods and creatures send from Hades to "keep the balance". Hiding away she can't make friends, can't share her secret and cannot stay long. Doing any of the three would only lead to hurt or even death. The story is addicting and emotionally engaging. I found that I was invested in the extremely well developed characters and and the complex plot. I could not put the book down. The story had a definite feeling of freshness to it. It felt new and refreshing. I can't get deeply into detail about why I loved Curse of The Sphinx without spoiling something or other, but I can say that I love the main characters and their struggles. I loved the sense of magic in the story, and I loved the underlying mystery that is hidden in the pages. I am super excited and am on the edge of my seat waiting for the next installment of the series. I totally recommend Curse of The Sphinx, its an awesome read, and give it the rating of FIVE OUT OF FIVE STARS!!! Story is really really good. Although what set me off is that I think we have different image of what a Sphinx looks like?? I say it like that because I got really confused in imagining it. Like she's in the Sphinx form but them she got hands? And can type in the laptop? Can do homework? Can write? I thought Sphinx has a body of a lion. Lion have paws though. So how in the world can she do all that?? I'm just curious. Lol. Another thing, I was under the impression that nobody should know about G Story is really really good. Although what set me off is that I think we have different image of what a Sphinx looks like?? I say it like that because I got really confused in imagining it. Like she's in the Sphinx form but them she got hands? And can type in the laptop? Can do homework? Can write? I thought Sphinx has a body of a lion. Lion have paws though. So how in the world can she do all that?? I'm just curious. Lol. Another thing, I was under the impression that nobody should know about Greek Gods. Like half of the book I was thinking that humans in there didn't think of Gods or they are ruled over by the Greek Gods. I stopped thinking that after reading some reviews. LOL. Even the humans know how to curse like the Demigods. Makes me think that I am missing something out. Hope Nichols has been on the run since she was born. For seventeen years, she and her mother have moved across the United States, never staying in one place for longer than a few weeks. She doesn't know who or what she is hiding from, but she knows that staying in one place for too long isn't safe. Then one day, her mother is killed and she finds herself alone in the world. Not knowing who she can trust, Hope moves again and begins school in Goldendale, where she meets Athan, a cute boy who catches her attention. I loved the mix of mythology and the modern day. Although I did enjoy the book, I feel like more of a back story should have been provided about the Curse and Hope/her mothers lives. I would have enjoyed the story a lot more if there was one because at times I found myself slightly confused. I'm hoping that this is better explained in the sequel! The romance in the book felt a bit forced to me and I didn't really enjoy that aspect of the book... but I did like that it wasn't an insta-love. I didn't feel like I got attached to any of the characters and found most of them to be annoying ESPECIALLY Kristen, what is wrong with that girl?! I did like Haley though, she was very nice to Hope when she first moved to Goldendale. Mr. Stanley, the butcher, was my favourite character and I loved trying to figure out the riddles he gave Hope when she visited him. At times, the book was slow, but the writing style made it easy to get through these parts without them dragging on too long. Loved this take on mythology. As much as I loved the Percy Jackson books, I really don't want that to be the defining series about Greek mythology. This one is up there! I really enjoy books that have a supernatural or paranormal aspect that society is aware of. There are too many books that have supernatural creatures secretly living among us and only a select few are let in on the secret. I don't think that's believable. This is one of those series where everyone is aware of the fact that the G Loved this take on mythology. As much as I loved the Percy Jackson books, I really don't want that to be the defining series about Greek mythology. This one is up there! I really enjoy books that have a supernatural or paranormal aspect that society is aware of. There are too many books that have supernatural creatures secretly living among us and only a select few are let in on the secret. I don't think that's believable. This is one of those series where everyone is aware of the fact that the Greek gods and myths are a real thing and still present today. This makes the concept of demigods that much more believable and realistic. At times I got frustrated with our protagonist, Hope, because of how damn naive she was. But then, it makes sense with how sheltered her mother kept her. I liked Hope's character development throughout and that even though she was sheltered, she wasn't afraid to tell things like they are. Athan's character is still a bit obtuse to me. I feel like there is more than we know at this point. Or at least I certainly hope there is to at least explain the insta-love and forgiveness of everything. Same with Priska. And Mr. Stanley...okay so every character makes me curious. [2.75/5] El libro me ha gustado. De verdad. Ha sido entretenido, Hope no es una idiota y no todos los personajes femeninos son envidiosos y caprichosos. Pero no he podido evitar compararlo con otros libros. Por algún motivo que no llego a comprender, lo he comparado mucho con la saga Lux, de Jennifer L. Armentrout. No sé si son verdaderamente similares o si yo simplemente estoy siendo un poco quisquillosa, pero me ha molestado. Como ya he mencionado, me ha gustado que no todas las chicas con las [2.75/5] El libro me ha gustado. De verdad. Ha sido entretenido, Hope no es una idiota y no todos los personajes femeninos son envidiosos y caprichosos. Pero no he podido evitar compararlo con otros libros. Por algún motivo que no llego a comprender, lo he comparado mucho con la saga Lux, de Jennifer L. Armentrout. No sé si son verdaderamente similares o si yo simplemente estoy siendo un poco quisquillosa, pero me ha molestado. Como ya he mencionado, me ha gustado que no todas las chicas con las que Hope interactúa sean envidiosas, egoístas y superficiales. No todas; pero las hay. También me molesta que, en todos los libros que suceden en pueblos pequeños, siempre haya algún adulto cotilla que, además, sea padre de una de las personajes envidiosas, egoístas y superficiales. En fin... No creo que vaya a seguir con esta ¿trilogía? porque el final de la novela me ha dejado bastante indiferente. The End, okay so the truth comes out but I’m still not one hundred percent sure of what all the curse entails. Although I will say that by the end we have a better idea. READ THE PREQUEL NOVELLA. Things end a little bit cliffy but nothing too crazy or shocking. As I mentioned before this was a great starter book. I feel like something amazing is around the corner. Now I’m off to read the novella for some more back story and I’ll be looking forward to what happens next. 3.5 Skata, Skia, Hermes, Athan, Hope, High school, Board Games, Marriage, Secrets, Fire, Escape, Aunt, Temple, New Moon, Riddles, Orchard, Farm, Mountains, Math, River, Salvation Army, Demigods, Challenger, Kiss, Lawyer, Aunt, Oracle, Father, Confession, Suspenseful Tire Screech filled stars! I really liked the book,and how characters were written. I really liked Hope but her mother was kinda irritating to me. And OMG,it has mythology! It was enough for me,because there is just not enough good books about Greek mythology (Rick Riordan is the God :P),so I really liked this one! So,hurry,go to your nearest bookstore and get copy for yourself,you will not regret it,I swear! Highly enjoyed. It was cool to see a different take on Greek mythology other than Percy Jackson. RAYE WAGNER is the USA Today Bestselling author of young adult fantasy books, but she hates writing bios. She’d much rather tell you a story. She’s partial to fantasy, with dragons or magic or something so she can lie and not feel guilty. She also has an obsession with sweets (all the bakery goodies), nerf wars, wigs, and occasionally tutus. When she isn’t writing, shenanigating (I’m sure that’s a RAYE WAGNER is the USA Today Bestselling author of young adult fantasy books, but she hates writing bios. She’d much rather tell you a story. She’s partial to fantasy, with dragons or magic or something so she can lie and not feel guilty. She also has an obsession with sweets (all the bakery goodies), nerf wars, wigs, and occasionally tutus. When she isn’t writing, shenanigating (I’m sure that’s a word), or lying, Raye is with her family . . . preferably at the beach.